Little Bookish Wardrobe is one of the coolest subscription clubs for kids, especially if they love dress up and reading! Every box comes with a new book, dress up clothes to go along with the book’s character, and an activity that is also related to the story. This is such a fun way to get kids to love reading and extend the amount of time they spend on their books! Kiwi Crate – Crafts, Crafts, Crafts! I’ve always been a huge fan of Kiwi Crate and we’ve turned to them often. Kiwi Crate sends your child a box of crafts and it’s all different depending on the child’s age. What I love most about Kiwi Crate is that they really are age appropriate and your child should be able to do the whole thing themselves. These are great rainy day activities and perfect for the long summer months (I’ve even considered bringing them for long car rides!). Kid Curated Books – Books, Books, Books! If you’re anything like me, you spend a ridiculous amount of time trying to figure out which books your kid would like and which are age-appropriate. 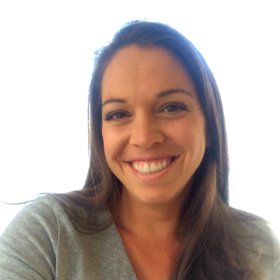 Kid Curated Books does all of that for you! Every month, your child gets 4 books sent to them that are not only age-appropriate, but have also been chosen based on their specific interests. You really can’t go wrong with books! 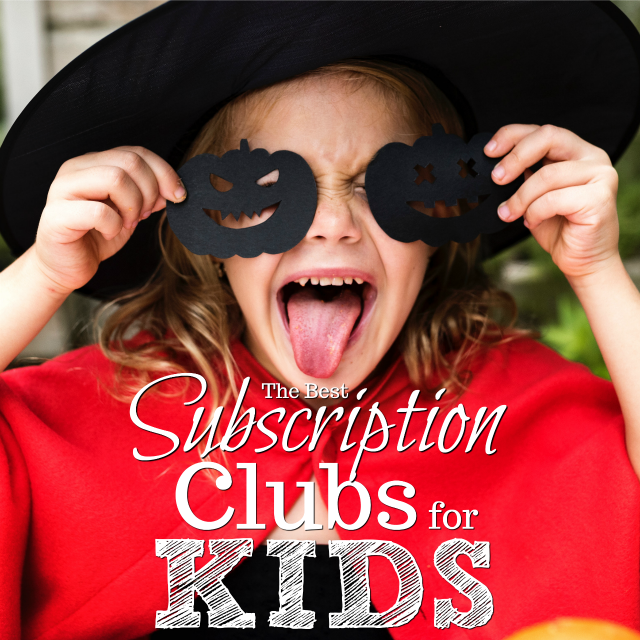 Whether this is for your own kids or as a gift, this is definitely one of the best subscription club for kids. I can not get enough bows for my little girl! So when I discovered Little Poppy Co., I was so, so, so excited. 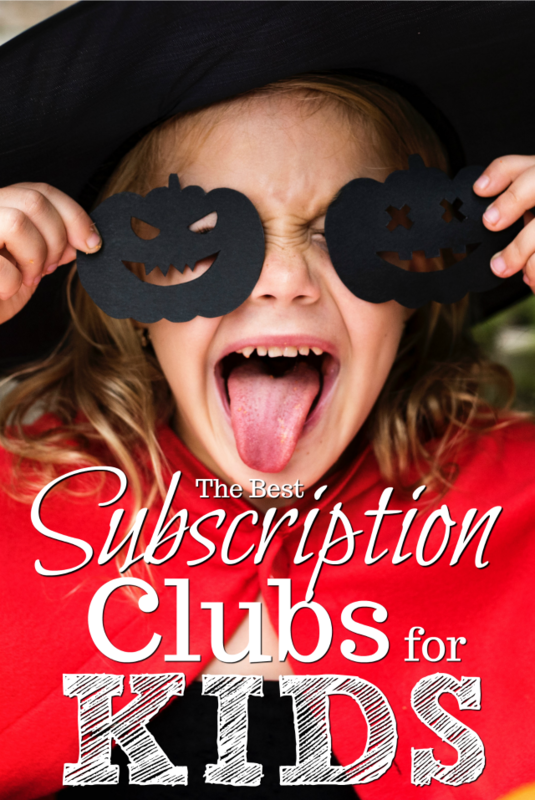 They are a subscription club for bows with lots of different options to make your subscription club exactly as you like it. You can get doubles (for pig tails), opt for headbands or barrettes, or get a surprise bow added to your order. Another thing I love about these guys is that you can choose how many months you want your subscription and cancel at anytime. Owl Post Books – More Books! I know, books, books, books! There are a lot of book subscription clubs for kids, but there’s a reason for that – kids love books, parents love books…and books are an affordable gift option! That’s one of the reasons I love Owl Post Books and why they’re on the list. Not only do they choose great books, but there are different package options, one of which is $15/month, which isn’t too bad in the world of subscription clubs! The other thing that makes Owl Post Books unique is that some of their package include a little toy that goes along with the book, which is a really fun addition! M is for Monster, or as they say “preschool in a box,” is a really cool subscription club that helps you teach your preschooler (or toddler) some of their first real lessons! They learn things like colors, shapes, numbers, and letters, all through activities that come in the box. Just like with Kiwi Crate, they send you all the supplies you need, which is really nice. This is perfect for kids that aren’t quite ready to start school yet and certainly great for those summer months where you want to keep them learning! The concept of Surprisly is brilliant – every month you get a box with three outfits for your baby or toddler – one nice one, one play one, and one to sleep in. If you’ve ever had a baby or toddler, then you know how quickly they go through clothes and how hard it is to find cute ones! Which is why Surprisly is so unbelievable!